PEIP Conference – Sold Out! PEIP 2016 is sold out! In-person registration is now sold out and webcast is no longer available. Please note 0n-site registration will not be available. No travel, no accommodations, same great learning! 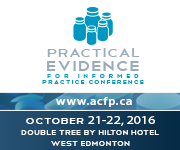 PEIP 2016 will be offered via Live Webcast for those who prefer to take in the conference from the comfort of their own home (or office). Addition of a second pre-conference workshop designed for health professionals who deliver educational outreach programs, like Best Practice Support Visits or Academic Detailing.